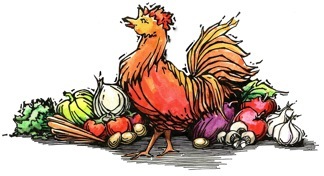 We look forward to seeing you on our Second Annual Kitchen Garden & Coop Tour on Sunday, July 29th from 9am-2pm. This event is presented by Home Grown New Mexico and Edible Santa Fe. The tour is self-paced. Guests will go to the homes in any order that they select with a wrist band to identify them. The homeowners will be the main tour guides, but also have help from the Master Gardeners and volunteers from each location to review edible gardens, chickens, bees and any other self-sustaining items such as solar, water catchment and more. Cold drinks will be available at each location sponsored by Whole Foods. 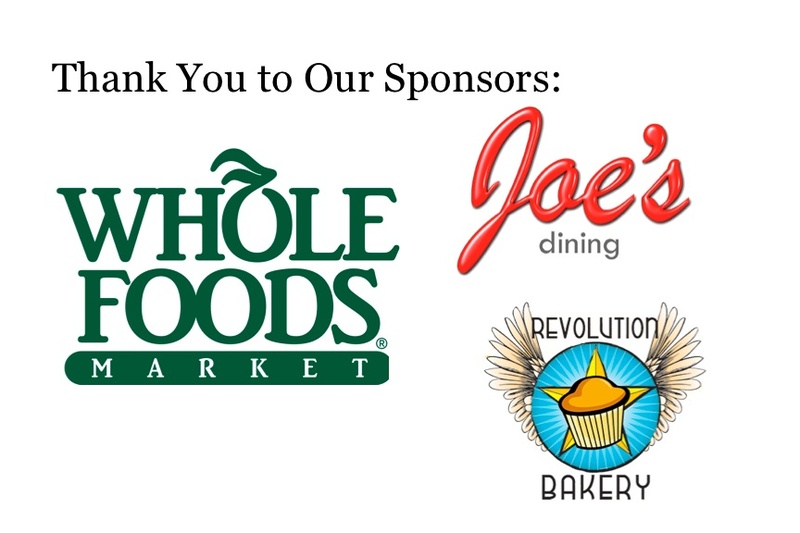 Revolution Bakery and Joe’s Dining have also sponsored the event. For questions contact homegrownnewmexico@gmail.com or 473-1403. Artist, designer and educator Ben Haggard uses landscape to create a multi-faceted sculptural environment–one that produces food, habitat, soil regeneration and a cheerful living space. In his residential garden, water finds a way into the pores of the soil as it is orchestrated with care through the mycorrhizae, roots, stems, and leaves of a myriad of plantings. His sophisticated use of ordinary materials such as steel, vegetation and rock elevate the basic suburban property into a dynamic microcosm. This evolving sculptural process is ecological without being dogmatic, drawing from living systems for guidance and inspiration. Over the years, many have toured his space looking for instruction on more sustainable and harmonious ways of living. Dan and Giselle and their kids, Coleman and Amelie Piburn live in downtown Santa Fe on 1/2 an acre and have an experiment in urban gardening called the Dandelion Ranch. It is a place of practice, where food is grown in one large plot. They have built a group through this sharing garden where it is easier to manage pests and weeds cooperatively with one plot and enjoy lots of good company too. They use recycled materials whenever possible and have a large composting operation. Dandelion Ranch in addition to the large garden area also has chickens, turkeys and a yurt & they are working on a shed structure for an outside kitchen and work station! Come see how an urban garden thrives in the middle of the city. Nestled off of West Alameda in Santa Fe, Lisa has created a group of green vacation lodgings on her property called Suitable Digs. The five lodgings are built using natural materials and are wonderfully eclectic in their design. They include the Sun Room, the Earth Room, the Bunkhouse, the Green Room and a painstakingly restored 1948 Spartan travel trailer. There are winding pathways that lead to gardens of fruit and flowers and a geodesic dome greenhouse that contains 4 fig trees, a grape arbor with a harvest table for outdoor dining, raised beds of organic vegetables, a new berry garden, and terraced areas of fruit and nut trees. Suitable Digs cares about sustainability, having a large solar energy array that provides 100% of it’s electrical usage, a 9,000-gallon roof water collection system, two greywater systems, ‘on-demand’ water heaters, and composting toilets in some of the lodgings. In addition, they make their own compost, recycle all suitable materials, and practice integrated landscaping. Betsy and Jamie are avid cyclists and musicians but offer their passions and talents to gardening. They make use of all space available for food production in their compact suburban yard. Their garden incorporates raised-beds, in-ground plantings, straw-bale-plantings and chickens. With the skills and knowledge obtained from previous garden efforts, their space includes crops to promote pollinators and beneficial insects. Fruit trees, hops, vegetables, herbs, and greens are reared using roof-water with strategic climate mitigation techniques as well as city water when needed. Gardening together and working with nature are their primary guiding principles. Betsy and Jamie encourage others to not be timid about urban food production. Christie Green lives in a food forest. She has utilized knowledge and skills she has gained over the last 13 years as owner/designer at Down to Earth,LLC and the newly formed landscape design and consulting ﬁrm, Studio Succession to create a perennial edible landscape in the desert. This lush landscape, designed and implemented in phases over the past ﬁve years, which includes many fruit trees, grapes, native ﬂowering and fruiting shrubs and perennials nourishes not only her family and friends, but also local wildlife and the land. Her design encourages the rainfall and road runoff to drain/percolate into the soil on her property, creating swales and a ﬂedgling wetlands area as part of the landscape. She also uses her greywater, distributed through pumice wicks and well water. Raised beds and a circular chicken yard (She says chickens don’t like corners) add to the beauty of the entire “ecosystem” she has created…an oasis in the desert. Christina and Taylor Selby founded Earth Care in 2001 and have been working to educate and empower young people to create healthy, just and sustainable communities. Taylor now works for Positive Energy Solar, and together they continue to extended that original desire into their home, garden and surrounding land. They have a neighborhood garden, their own kitchen garden, a berry and fruit forest, a chicken enclosure and their young son also has his own raised beds in the back yard. The surrounding land is being sculpted with swales and pumice wicks and covered with mulch to retain rainwater to sustain their native and xeric plantings. They have photovoltaic solar panels in the back yard to produce their energy and solar hot water panels on their roof. Greywater and rainwater (collected and dispersed from their 1800 gallon above ground cistern) supplemented by well water nourish all this plant life – via carefully orchestrated drip irrigation. With their family and neighbors, implementing many permaculture principles, they are developing a nurturing and sustainable lifestyle. Also featured as a residence on a modern homes tour, their dwelling is perfectly woven into a sustainable landscape and productive garden. Many elements of this design create closure to what would otherwise be lost opportunities and these include: an outdoor shower waters the garden, chickens are fed vegetative scraps, the homes exterior walls articulate sophisticated outdoor living spaces, an 800-gallon cistern collects stormwater and a pumice wick waters fruit trees with roof runoff. This garden includes several productive raised-beds, a greenhouse, and a sensible group of edible and ornamental plantings, which are all expertly composed within the immediate context of the house, the neighborhood, and the overall landscape of the Santa Fe River’s north bank. Professionally, English is an engineer specializing in water quality and erosion control and Cermanski is an Art and English teacher and painter. This entry was posted in Garden Tours and tagged Backyard Chickens, Beekeeping, Bees, Chicken coop, Edible Gardens, Edible Santa Fe, Garden Tour, Gardens, Home Grown New Mexico, Kitchen Garden & Coop Tour. Bookmark the permalink.